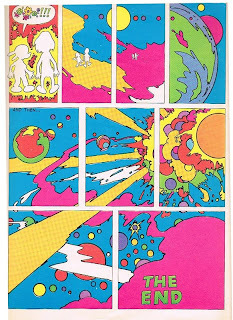 PETER MAX Magazine N. 1, 1970 published by Lee Spiegelman and Ted Cohen. 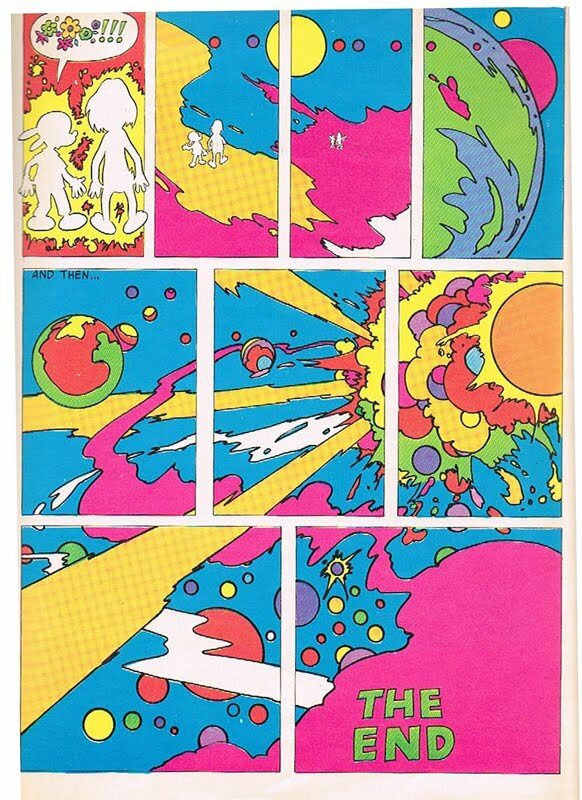 The age of psychedelia and transcendental meditation. 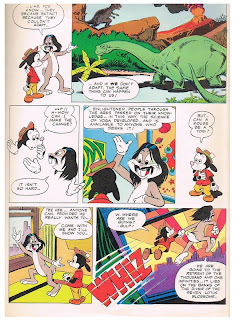 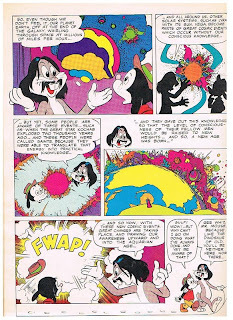 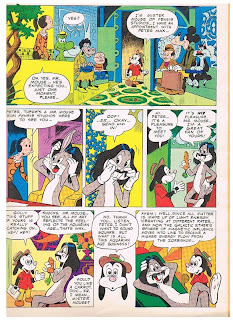 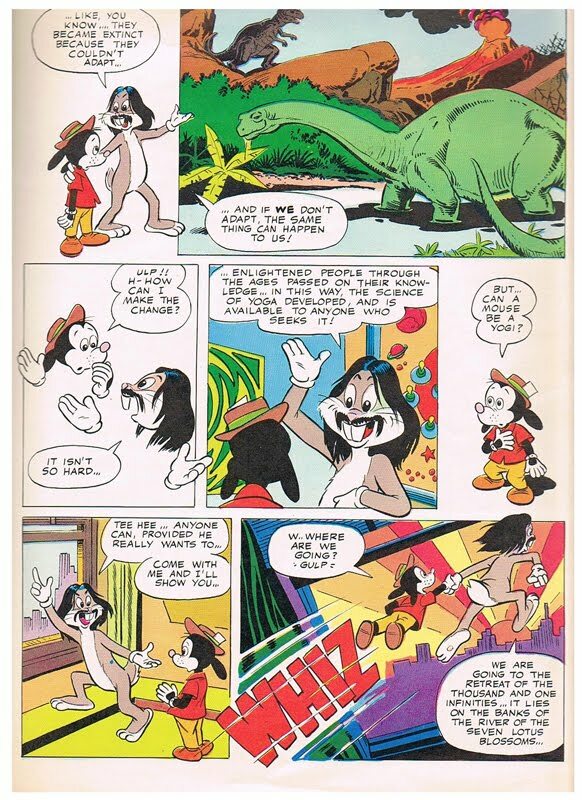 In pages 40 to 45, Peter created a small comic strip impersonated by Mickey mouse and himself disguised as Bugs Bunny. 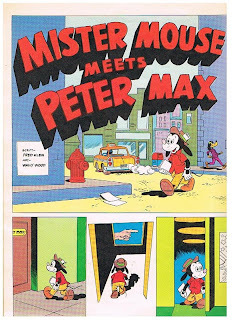 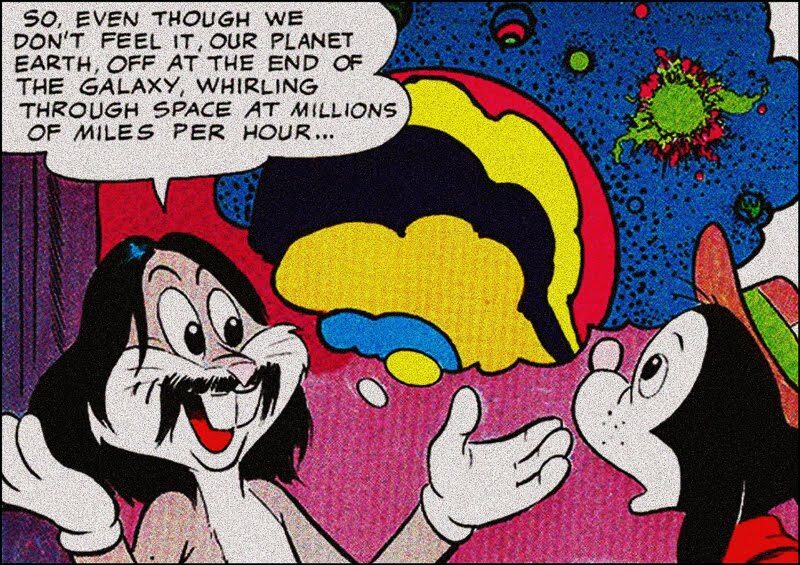 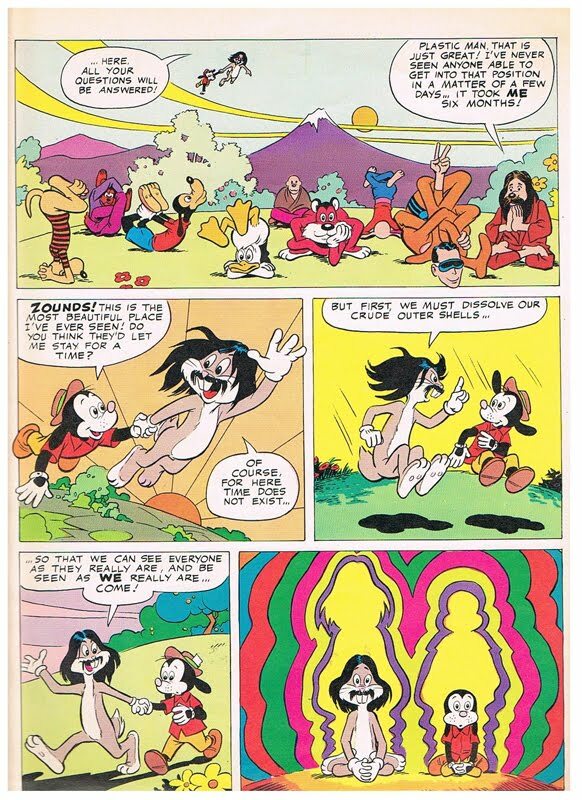 In MISTER MOUSE MEETS PETER MAX, the mouse visits Peter Max studio, and is received by "Bugs" disguised as Peter that explains him about the Age of Aquarius and takes him into a weird psychedelic virtual tour.